Of all the New Year’s resolutions, getting your finances in order is among the most popular goals there are. 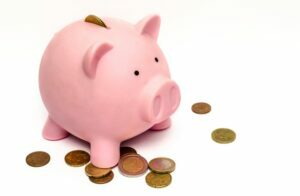 A challenge we all face when it comes to managing money, however, is setting priorities. For some people eradicating debt and obtaining financial freedom are their primary goals. Others prefer to stick to the minimum credit card payments and put any extra money toward investing. If your investments earn a higher return on investment (ROI) than your debts cost, it’s a sound decision. Usually financial priorities come down to personal preference. 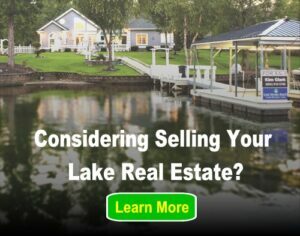 But when planning to buy a lake home, particularly if it will not be a primary residence, there are other factors to consider. Your debt-to-income ratio is all of your monthly debts and obligations divided by your gross monthly income. When you apply for a mortgage, lenders will go through all of your finances with a fine-toothed comb. Your debt ratio is the “number one way lenders measure your ability to manage the payments you make every month to repay the money you have borrowed”, according to the Consumer Financial Protection Bureau. So let’s say each month you pay $1,000 for your mortgage, $300 for the car insurance and $500 for everything else. That’d make your monthly debt $1,800. If you bring home $5,500 each month, your debt-to-income (DTI) would be 33 percent. Forty-three percent is typically the highest ratio that will qualify for a loan. 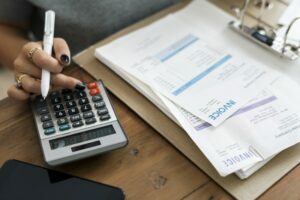 Lenders, however, prefer to see a debt-to-income ratio lower than 36 percent, with no more than 28 percent of the debt going toward your mortgage. So when managing money, it’s important to be prepared for what the lenders will be most inclined to approve. That means reducing debt should be your main priority if you see a lake home in your future. The average U.S. household has $8,284 in credit card debt, according to a 2018 report by Fortune magazine. If debt is standing between you and your dream home, here are some strategies to get things back on track. Create a budget so you can take inventory of your finances and differentiate your needs from your wants. Before you can pull yourself out of a deep debt hole, you have to stop making it deeper and claim more control over your purchases. This might mean fewer daily lunches with coworkers, as those meals can add up pretty quickly. If you spend $10 on lunch every weekday, that’s $200 a month. One effective tactic is the debt snowball method, when you pay off debts in order from lowest to highest balance. The idea is to get one balance paid off rather quickly and use the extra money available to begin paying off the next balance. Over time, each debt you pay off builds momentum for paying off the next one, like a snowball grows as it rolls downhill. To make a meaningful and timely dent in your debt, pay considerably more than you’re required to each month. If possible, pay more than twice the minimum amount due. Debt consolidation is also an effective option for millions of Americans. This works best for those who have debt scattered in different places, all with various interest rates. Consolidating all your debt into one new loan is likely to reduce the interest rates on some of your older debts. Try to put work bonuses, money from side gigs, or the repayment of a personal loan toward your balances. It’s important to resist the urge to blow extra cash on non-essentials rather than retiring debt that is accumulating interest. But paying bills doesn’t have to be seen as a punishment or as embracing austerity. Each time you reach a debt payoff milestone treat yourself in a small but meaningful way. Have a cheat day on your diet or enjoy an affordable indulgence, like a massage or a special dinner. Anything is fine, as long as you don’t put it on your credit card. A big part of wrangling in out-of-control debt is self-discipline. Paying off looming balances often requires sacrifices and lifestyle changes now in exchange for a healthier DTI in the long run. It’ll all be worth it when you’re lounging in an Adirondack chair with a cold drink as you take in the view of your new waterfront home. After all, what’s the American dream if you don’t have to work for it?